Nothing tastes better than home-grown vegetables. Many people, however, find themselves without space to grow vegetables, and in many regions, vegetable gardening is confined to a short season, leaving gardeners without a source of fresh produce throughout the rest of the year. Hydroponics offers one indoor-growing solution, and beans are among the most successful hydroponic crops, even for the beginner. There are hundreds of types of beans available to the home gardener. When selecting varieties for your hydroponic garden, remember that all varieties do well in hydroponics systems, according to the Simply Hydroponics website. Beans generally do well in hydroponic systems, but there are a few factors that will help you to get the maximum yield from your garden. According to the Hydroponics Online School, beans grow best in an ebb-and-flow system with a loose growing medium. The website recommends perlite or expanded clay pebbles. When planning lighting, keep in mind that beans prefer medium to high levels of light. Most beans are climbing plants, although bush varieties are available. If your bean seeds are labeled climbing, vine or indeterminate, you will need to provide a trellis for them to climb. 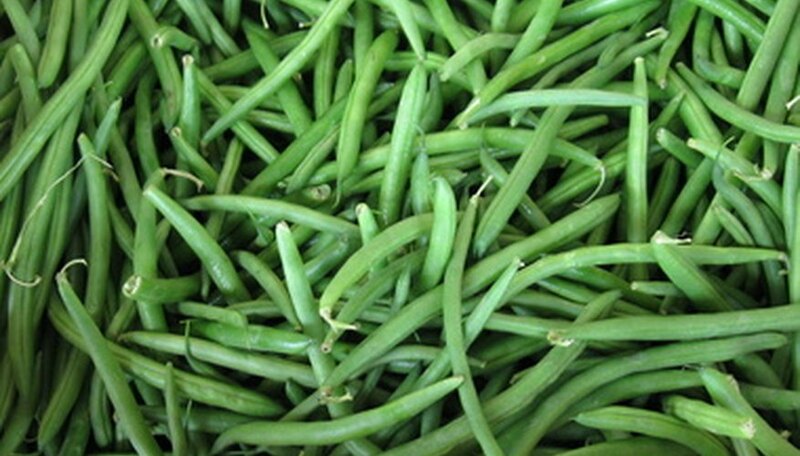 Bush beans do not require a trellis and are more suitable for small spaces. If space becomes an issue and you want to grow more than one type of vegetable in a single garden, beans and peas have similar needs and do well together. Although pollination can be an issue for hydroponic plants grown indoors without access to insects and other pollinators, beans are able to self-pollinate, meaning you never have to hand-pollinate to assure a yield. Once you've planted your beans in your hydroponic garden, expect to see the first signs of germination in six to 10 days, according to the Hydroponics Online School. Once they begin to germinate, beans grow rapidly, and you can expect your first harvest in six to eight weeks. Beans will spend a total of three to four months in your hydroponic garden. Growing beans hydroponically offers several advantages over traditional growing methods. In one experiment on Hydroponics at Home, a grower compared bush beans grown hydroponically with those produced in a traditional garden. The hydroponic bushes grew faster, were larger and produced more beans. Hydroponic systems allow you to precisely control growing conditions and protect your plants from adverse weather, insect pests and soil-borne diseases.